Diwali is coming, and I’m excited to share some great Diwali books with you! These are great ones to read with your kids whether they are already familiar with Diwali or not. For those who are just learning about it, it’s a wonderful way to discover this joyous time; while those who already celebrate with their families will enjoy seeing their holiday represented in books and learning the meaning behind the traditions! I received a complimentary copy of Let’s Celebrate Diwali and Let’s Celebrate 5 Days of Diwali for review purposes; however, all opinions are my own. This post contains affiliate links. If you click through and make a purchase, I receive a small commission at no extra cost to you. , published by Bharat Babies. The first thing that strikes you is how colorful it is! A young girl is nervous to share about Diwali with her classmates, but she is surprised to find out several of them are also celebrating Diwali! What is even more surprising is how differently they celebrate, as she learns that Diwali is recognized not only by Hindus but also by many Buddhists, Jains, and Sikhs. Includes brief, kid-level explanations behind each religion’s Diwali celebrations. , and not just because the main characters are monkeys! This is a super cute book that kids will really enjoy. The story is a fun little mystery for very young kids that incorporates elements of Diwali in a very natural way. (Read my full review). sounds wonderful! Recommended for ages 4-8, its illustrations range in difficulty to match different abilities. 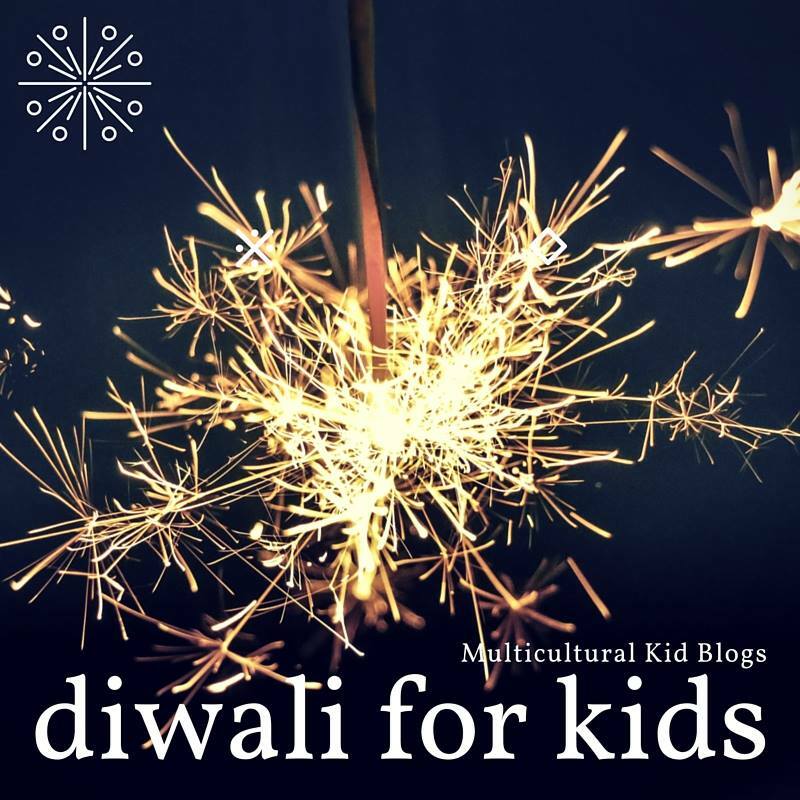 Includes a simple version of the story behind Diwali as well as conversation starters about Diwali and Indian culture. so they can really get a sense of what the holiday actually looks like. I love that this book includes Sikh and Jain traditions as well as the more familiar Hindu ones. is a gorgeous book that presents the story of Diwali in a very engaging, easy to understand way. I love how the characters Maya and Neel lead children through the activities of each of the 5 days of Diwali, with a colorful overview at the back. Younger kids will love the illustrations and overall story, while older kids will also enjoy learning more details about this festival. Bharat Babies’ mission is to design and produce developmentally appropriate books that tell children’s stories about India’s Heritage. Their books are appropriate for infants through elementary school. They are the publisher’s of Let’s Celebrate Diwali (you can even buy a print based on the book’s artwork!) as well as other books about Indian culture, from board books to toddler tales and early readers. Don’t miss their #MyDiwaliStory giveaway! I love that they are so committed to getting diverse books into schools. In their Diwali giveaways, they are asking people to tag teachers and librarians, since they will be sending two books to schools and libraries to increase their diverse books as part of their Donate for Diversity campaign. And they are running a special just for All Done Monkey readers! Use the code ADM10 to get 10% off your order at Kitaab World this Diwali!